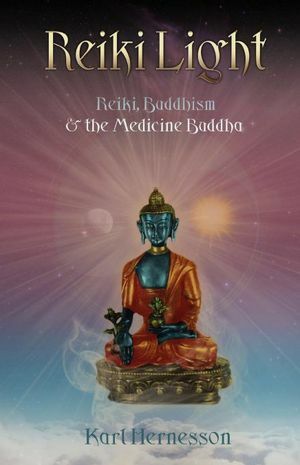 Reiki Light gives the reader an overview of Reiki healing from the Northern European point of view, from the Japanese point of view, and takes excerpts from various Buddhist teachings, some of which have been forbidden by His Holiness the 14th Dalai Lama. The first section of the book discusses Reiki Healing from a western point of view. Hernesson states that energetic healing is natural and anyone can learn how to use it. He talks about the use of subtle energies to promote healing, not just for individuals but for the entire planet. In fact, planetary healing is Hernesson’s specialty, which I quite admire. The author also discusses and how Reiki is a spiritual path and not merely a form of healing energy. The Buddhist teachings in the middle of the book are a confusing hodgepodge of various Buddhist texts intermixed with Native American and Japanese Shinto teachings, as well as with New Kadampa discourses which I am explicitly forbidden to view. Most of the texts are taken from New Kadampa sources which Hernesson acknowledges in the back of the book, including providing sources for picking up NKT texts, which troubled me greatly, as HH the 14th Dalai Lama has forbidden utilizing the teachings from the New Kadampa Tradition, or participating in their cult. The author does bring this up as well as mentions the creature the NKT worships. When I saw that I had to put the book down and do a cleansing puja..
Reiki light does have good information in regards to healing techniques, both on an individual as well as a planetary scale. I don’t recommend the rest as it has to do with a tradition I am forbidden to discuss. Your mileage, however, may vary.